This year in Baltimore, at the Annual Meeting for the American Academy of Religion, Culture on the Edge members Monica Miller and Steven Ramey — along with Chip Callahan (University of Missouri), Sean McCloud (UNC Charlotte), and Patricia O’Connell Killen (Gonzaga University) — were panelists in a roundtable discussion, “Discussing the ‘Nones’: What They Say about the Category of Religion and American Society” where part of their thoughts on the Nones stemmed from the ideas and conversations around their co-authored Huffington Post article. Here’s their report on the panel that was posted recently. Discussing the ‘Nones’ with Steven Ramey from UA Religious Studies. Discussing the ‘Nones’ with Monica Miller from UA Religious Studies. 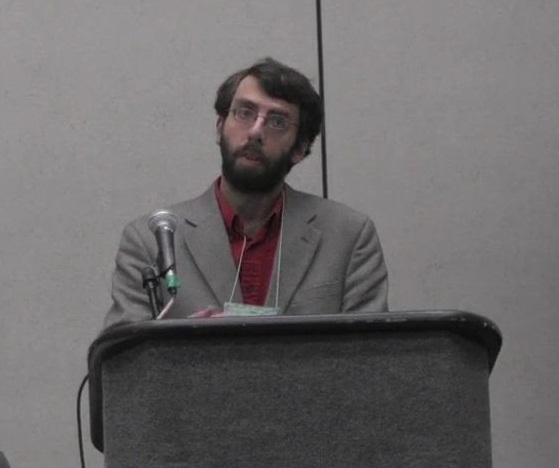 To see the rest of the video series, go to the Vimeo album: “Discussing the ‘Nones'” at the 2013 AAR. Next PostNext It’s Not Fair!